Written by Golden LEAF Scholars Leadership Program on October 26, 2018 . Posted in News. 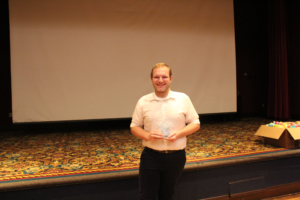 Braxton Nelson received this award for being recognized by his supervisor as someone “not afraid to get in the trenches and work.” In addition, Braxton completed all of the necessary paperwork on time during the course of this program year! He not only worked the required number of hours for the summer internship, but also volunteered at other locations within his community during this same time period.Braxton was asked to be on the Caldwell Historical Society Board, which he joined. Although not a voting member, he still participates in board meetings and offers ideas and suggestions. Congratulations to 2018 Year 1 Rising Star award winner, Braxton Nelson! 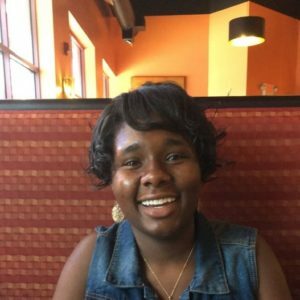 Deja Gainey has demonstrated both passion for the program and commitment to developing as a leader through participating in the GLSLP. Deja is very much appreciated by both the Golden LEAF team and fellow scholars for her positive attitude and dedication to improving rural North Carolina. In fact, she created a matrix for her internship site organization to track the progress of their Comprehensive Regional Economic Development Strategy. This matrix and work with the InnovatEC Program will be utilized as the basis for the Regional EDA Innovation Grant, which will have a long term impact on the economic vitality of the northeast. It is because of Deja’s work during the program and embodiment of the Foundation’s mission that she has earned the 2018 Year 2 Rising Star award. 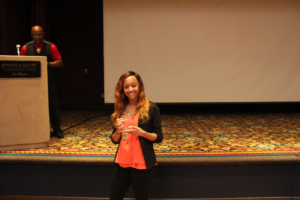 Moriah Davis has consistently contributed to the success of the Golden LEAF Scholars Leadership Program. She worked not only to maximize her experience in the program but also worked to improve the program experience of her fellow scholars. Moriah consistently goes above and beyond in all aspects of the program. For example, she has been applying leadership concepts learned in the program to help her complete a project in addition to her internship at Vidant Medical Center. She was instrumental in the success of Vidant’s Dolly Parton Imagination Library pilot program, which mails free books to children from birth until they begin school. Congratulations to Moriah Davis, the 2018 Year 3 Rising Star award winner!